Susan Sarandon has been a staple among the Hollywood elite for over four decades. The award-winner is known as much for her off-screen work as she is for her film career. Recently, she opened up about her most significant personal struggle. The popular actress has graced the small and big screens since 1970. While she has remained in the public consciousness for some time, Sarandon has kept her private life pretty closed. Later on, she revealed the way she coped with her biggest struggle. As a student at Catholic University, Susan met a nice boy named Chris Sarandon. Their relationship blossomed, and the two were married on September 16, 1967. She was only a 20 year old senior at the time of their marriage. Unfortunately, the couple would divorce in 1979. With her career starting out, Susan decided that a name change would not help, so she held onto her ex-hubby’s name. She still uses his last name as her stage name. After graduating from Catholic University with a BA in drama, Susan decided to take her training (from master teacher Gilbert V Hartke) and find herself some work. Susan and hubby Chris Sarandon both auditioned for a part in Joe in 1969. Chris missed out on a role, but Susan won the part of Melissa. The movie put Susan in her first major role, and it was a huge success, making 13 times its budget at the box office. 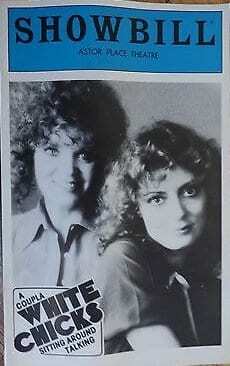 Her performance in Joe helped open doors for Sarandon. She became a working actress, making the rounds between soap operas and smaller films, including Rocky Horror Picture Show, which became a huge cult hit. Her first taste of recognition came from the film Atlantic City in which she starred across from Burt Lancaster. Susan was nominated for Best Actress at the Academy Awards for her part, something she would earn on another four occasions. 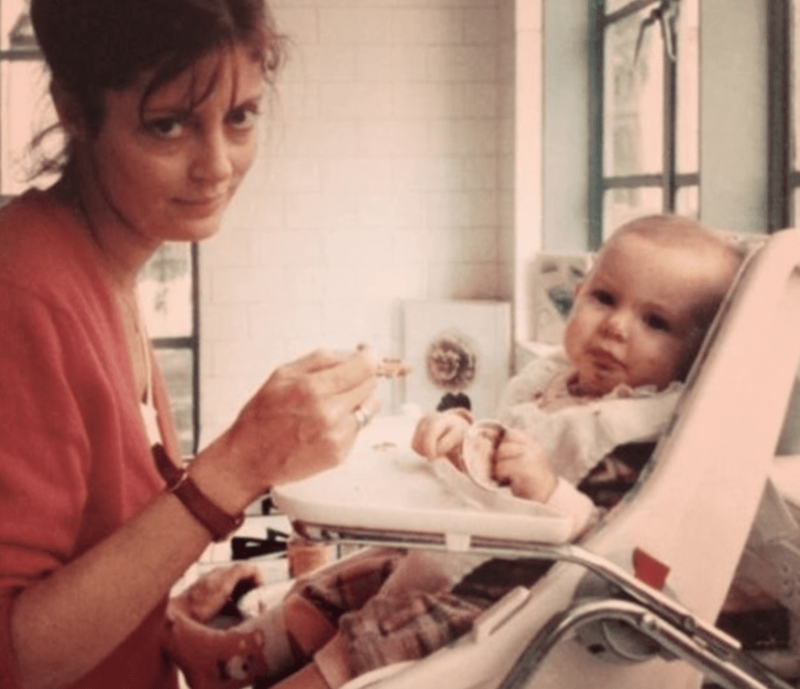 Being the oldest of so many children gave Susan Sarandon an early sense of responsibility. She was forced into action even if it fought against her natural instincts. In a 2014 interview with Time Out magazine, Sarandon explained how it affected her, “Being at the top, I had a lot of responsibility, which was a good thing as I tended to be spacey and always daydreaming.” She eventually learned how her siblings looked to her as a parent. Susan’s early life was heavily rooted in Catholicism thanks to her mother and her Italian descent. 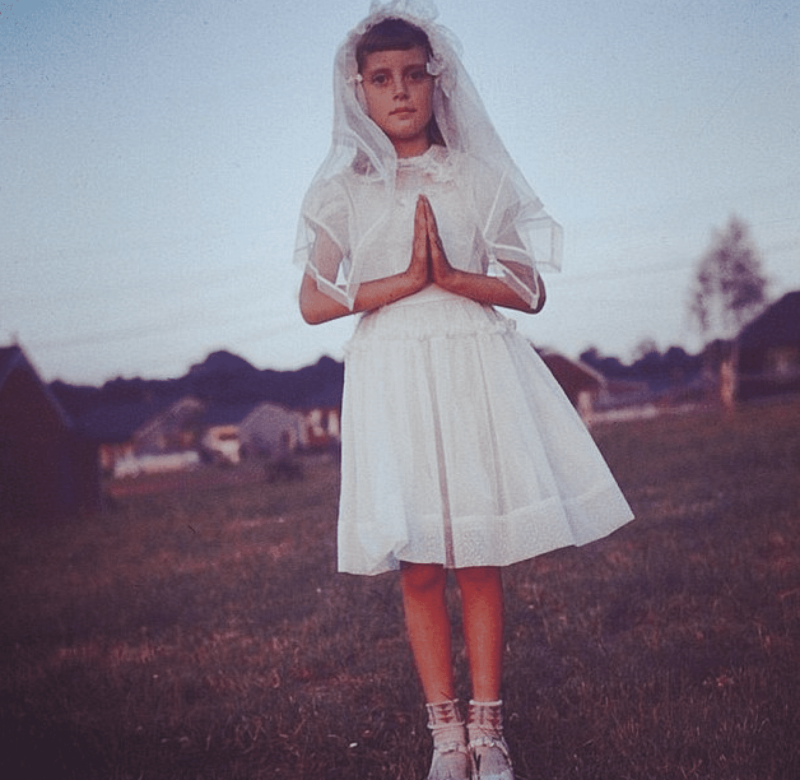 Prior to high school, she attended Catholic schools. She told the Los Angeles Times, “I was very spacey, kind of in my head, dreamy and really concerned with my faith and being a good person.” Susan enrolled at The Catholic University of America in 1964, but the experience left her questioning her faith even more than she had as a teenager. 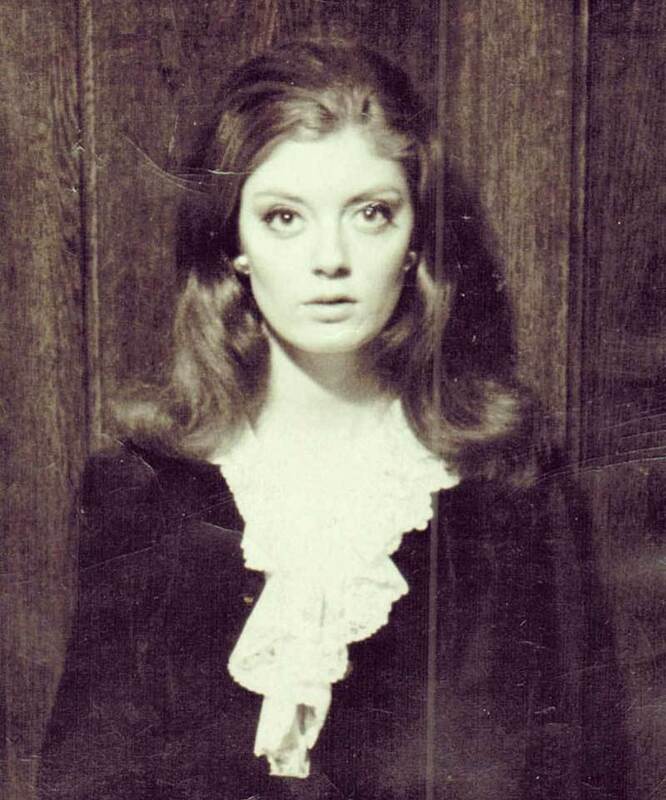 By the time Sarandon attended Catholic University, she was no longer the practicing Catholic she was in her younger days. Perhaps it was due to the time a nun told her that she had “an overabundance of original sin after asking if “you had to be married in the Catholic church or it didn’t count, how were Joseph and Mary married?” Sarandon only went to Catholic University because her parents had missed the deadline on the rest of her college applications. Although she was now an Oscar nominee, Sarandon entered a disappointing phase in her career during her 30s. She told The Guardian, “In movies, I wasn’t getting parts that were stretching me so much. I was earning a living and having a good time; I’ve always had a good time. But I was at a crossroads and needed to move on in some way.” Fortunately, a golden opportunity was right around the corner, changing the trajectory of her career. Sarandon continued to act throughout the 80s, but her career took a major turn after signing on to Ron Shelton’s Bull Durham. 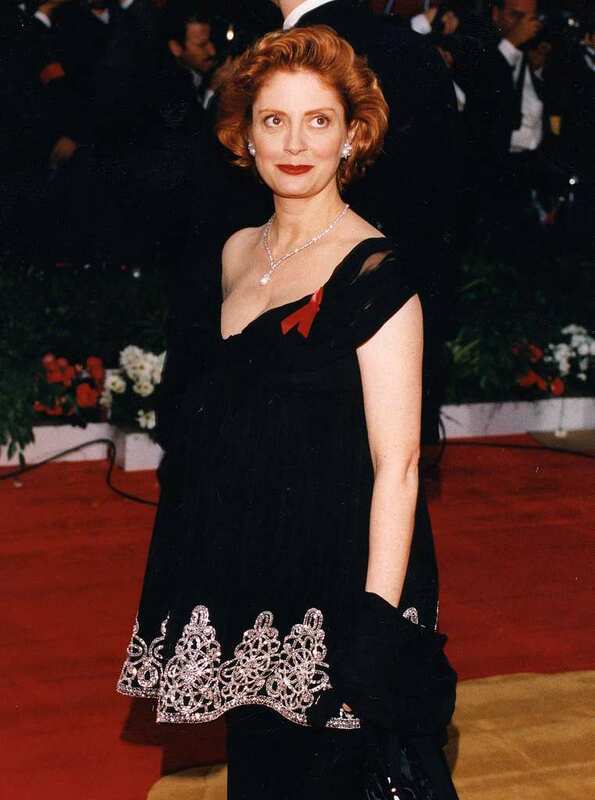 The studio felt that she was too old for the role of Annie, so Sarandon flew herself to see Shelton for an audition wearing an off-the-shoulder dress similar to the one she wore in the film. She proved them wrong and became the focal point of the hit film’s love triangle. 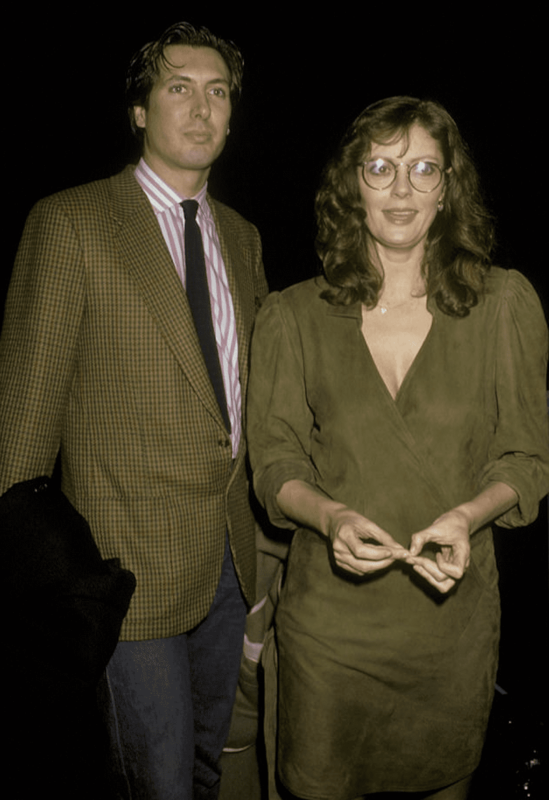 Due to her young marriage, Sarandon did not begin seeing other public figures until later in her life. As her profile expanded, the freshly single Susan began dipping her toes in the celebrity waters. At one point she was romantically involved with her Atlantic City director, Academy Award winner Louis Malle. In 2014, she revealed a relationship with rock legend David Bowie who she called “extraordinary.” The two starred together in the 1983 vampire film The Hunger. 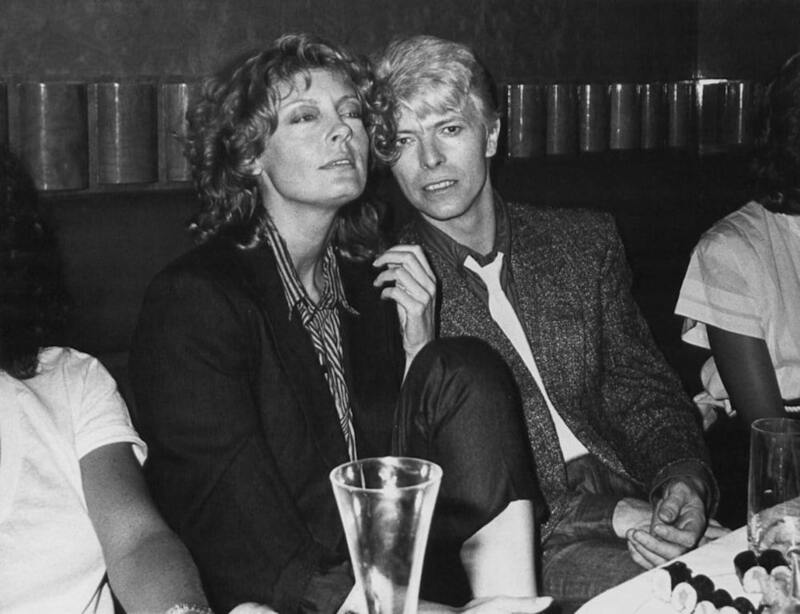 As her relationship with Bowie started growing and filming continued on The Hunger, Susan began suffering from sporadic bleeding and fainting. After seeing the doctor, Sarandon found out that she was suffering from a condition called Endometriosis. The condition makes it difficult to have children. Doctors told Susan that if she hoped to give birth in the future, she would require surgery first. In the end, they gave her some birth control and let her live her life. If you have not heard of Endometriosis, you are not alone. Many are unaware of the condition. That being said, about ten percent of women of reproductive age suffer from it. To help raise awareness for it, many celebrities have begun openly speaking on their experiences with it. 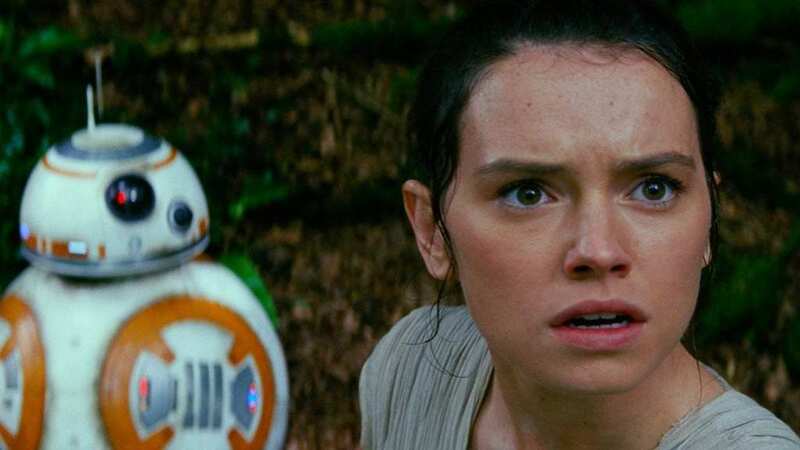 Oscar winner Whoopi Goldberg, Girls star Lena Dunham, and Star Wars: The Force Awakens heroine Daisy Ridley have all taken to the press to create more awareness based on their struggles with Endometriosis. Not long after her diagnosis, Sarandon began welcomed a new man into her life. She started seeing Franco Amurri, an Italian filmmaker best known for the Italian film which inspired Big starring Tom Hanks. The two had met on the set of Tempest a few years earlier. Neither Susan nor Franco intended the relationship to last long as both expected it to be a quick fling. Instead, they would be forever linked in a major and surprising way. Due to her condition, Susan treated her relationship with Franco similar to her past flings. She had not used birth control for years believing that she could not get pregnant. This time around, Susan received shocking news – she was pregnant with a baby girl. Susan and her close friends and family could not believe the news. Her career had started to trend upward, and she did not know how this would affect her. Susan decided to keep the miracle baby. Sarandon told Oprah about how she broke the news to Franco. She explained, “I said to Franco, you know, ‘I’ve decided that I’m going to have this baby. And if you want to be part of it, that’s great. If you don’t, that’s great too. Because I thought, you know what, if this was an impossibility and it’s happened, clearly it’s meant to happen.” The impossible had happened, and Susan was ready for the challenges. 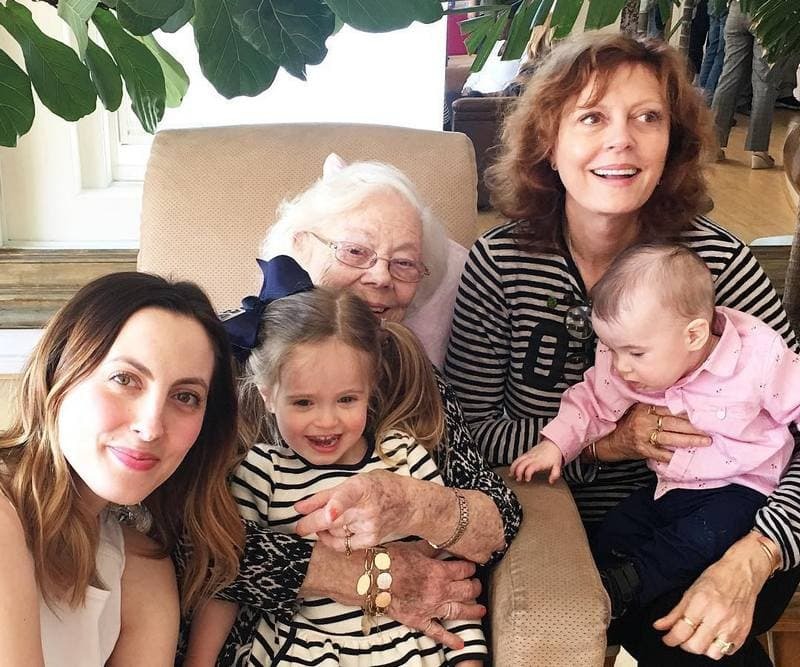 On March 15, 1985, Sarandon’s miracle was finally realized, and she gave birth to baby girl Eva Amurri. Susan had not married Franco nor were they still dating, but they decided that Eva should take her father’s name. Young Eva would live with Susan and would go visit her father in Italy as she grew older. Eva has deep Italian roots, as her father is Italian and her maternal grandmother is Italian as well. While filming Bull Durham, Susan, now with a three-year-old daughter, began getting close to one of her costars. In the film, Sarandon’s character, a minor league baseball groupie, becomes involved with both the up and coming young pitcher (Tim Robbins) and the cranky veteran catcher (Kevin Costner). Costner’s Crash Davis might have got the girl, but off-set, Robbins and Sarandon started a relationship which would last decades. Susan’s relationship with Tim came at the most prosperous time of her life. Bull Durham became one of the highest grossing films of 1988. Not only were her films successful, but she became a powerhouse actress, picking up numerous nominations and awards along the way. 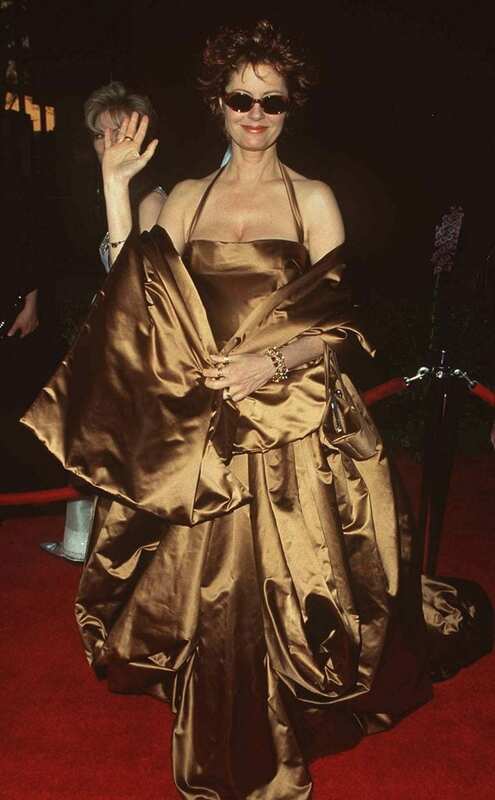 Between 1991 and 1995, Susan was nominated for the Academy Award for Best Actress four times including Thelma & Louise, Lorenzo’s Oil, and The Client. Finally, in 1995, she broke through and captured her first Oscar for Dead Man Walking. 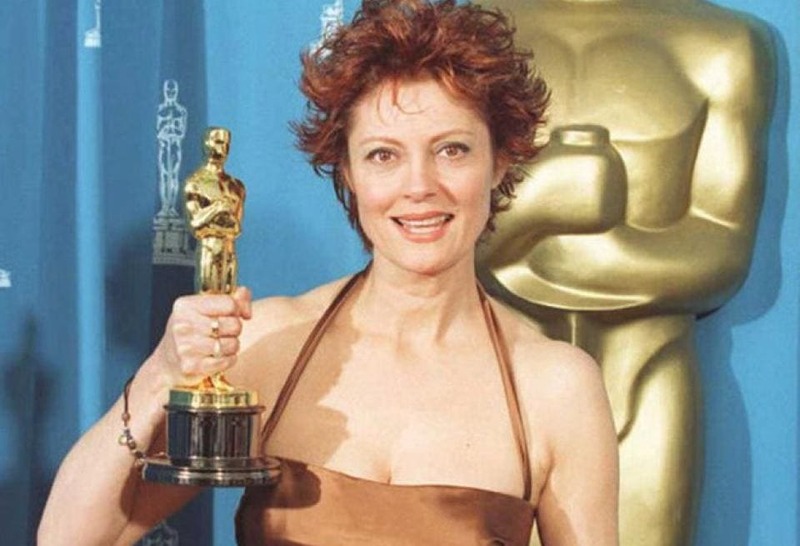 Sarandon was overjoyed to have finally won an Oscar for Dead Man Walking. In addition to thanking the cast and crew, Sarandon had planned on making a statement about war and violence. She had always been a very politically and socially conscious person and wanted the chance to share her thoughts on one of the world’s biggest stages. Instead, she got wrapped up in the moment and forgot to make her full statement. She focused on thanking Robbins. Although Sarandon missed her chance to make a statement in 1995, audience would not have been surprised if she did. Two years earlier, Sarandon and Robbins used the state at the Oscars to not only announce a category’s nominees, but to urge the United States government to release some prisoners. They disapproved of the United States’ detention of HIV-positive Haitian refugees at Guantanamo Bay. The Academy was not pleased with the stunt, but they could not ignore her talent. In Dead Man Walking, Sarandon played Sister Helen Prejean, a nun that befriends a death row inmate and attempts to save his life. The role earned her an Oscar, but also hit home for Sarandon. She has since become a major supporter of current death row inmate Richard Glossip. 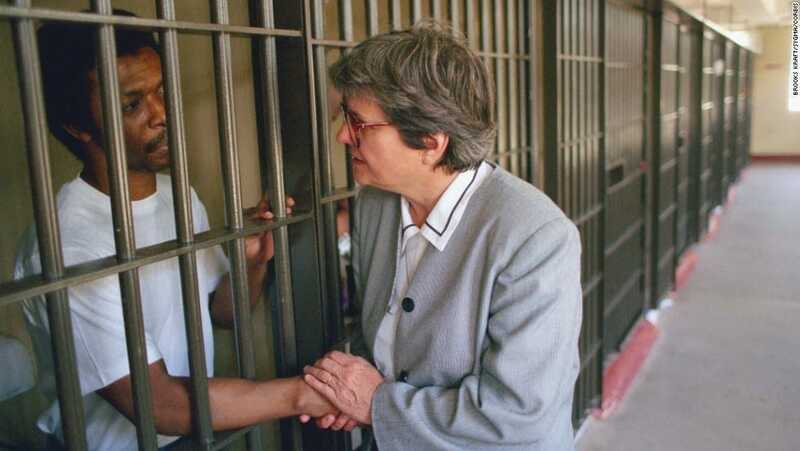 Along with the real Sister Helen Prejean, Sarandon and other celebrities (including Mark Ruffalo, Sir Richard Branson, and Pope Francis) have advocated for his innocence and release. 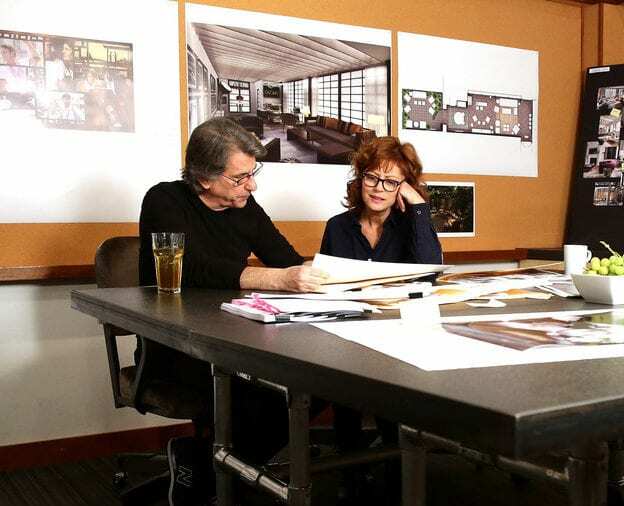 In 2009, Sarandon became involved in an exciting new project. She founded, along with other investors, SPiN, a table tennis club and bar. 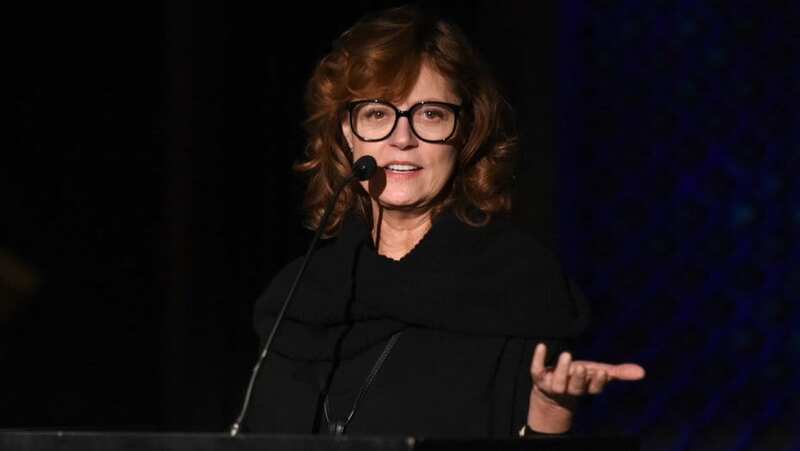 Since its inception, Sarandon has helped SPiN open locations across the world, including locations in New York, San Francisco, Dubai, and Toronto. SPiN allows guests to reserve tables and play ping pong in a social setting which occasionally features celebrity appearances and professional ping pong players. The adult playhouse has become quite successful for Sarandon. Make no mistake about it, Susan Sarandon knows how to get stuff done. This has been proven on many occasions with her real estate endeavors. In her words, she’s just wanted a place for her family “where the maintenance isn’t too high and they’re safe.” In recent times, she has been involved in a lawsuit with a businessman who reportedly failed to help her with her financial matters. “I just glaze over when people start talking about numbers,” she said. It’s not just TV that Sarandon has made a name for herself in. Since the turn of the millennium, the actress has starred in numerous shows such as Friends, Malcolm in the Middle, and Feud: Bette and Joan, to name a few. She has been nominated for awards for her performances in all three aforementioned shows. Despite this, Sarandon has never actually won any of her TV award nominations. However, it’s just a matter of time before that changes. Susan Sarandon’s role alongside Geena Davis in the classic Thelma & Louise is arguably her most iconic role to date. 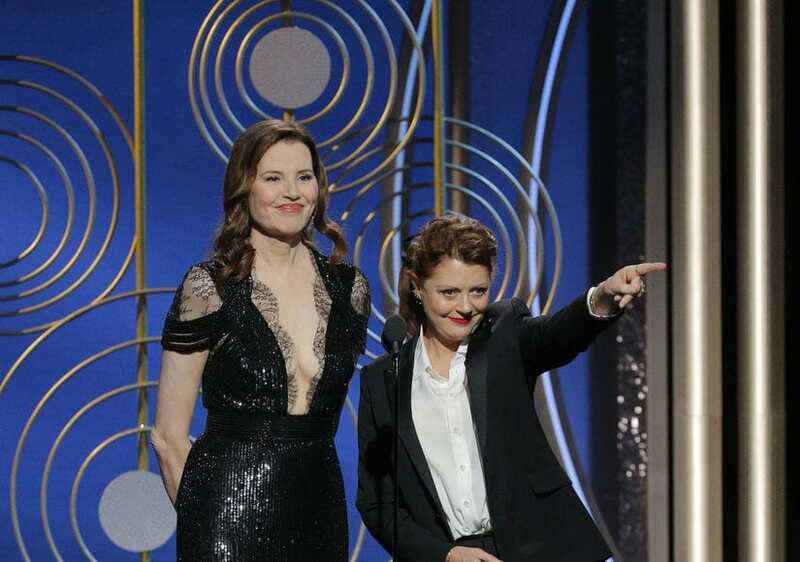 So when the two got back together for a jaw-dropping reunion at 2018 Golden Globe Awards, everyone in the crowd was in absolute awe. The pair presented the award for Best Actor in a Motion Picture – Drama, which ultimately went to Gary Oldman for his portrayal of Winston Churchill in the movie Darkest Hour. It was a priceless moment. Robbins and Sarandon became a Hollywood “It” couple. Although they never married, the couple made a major announcement in 1989: they were expecting a baby. John “Jack” Henry was born on May 15, 1989. 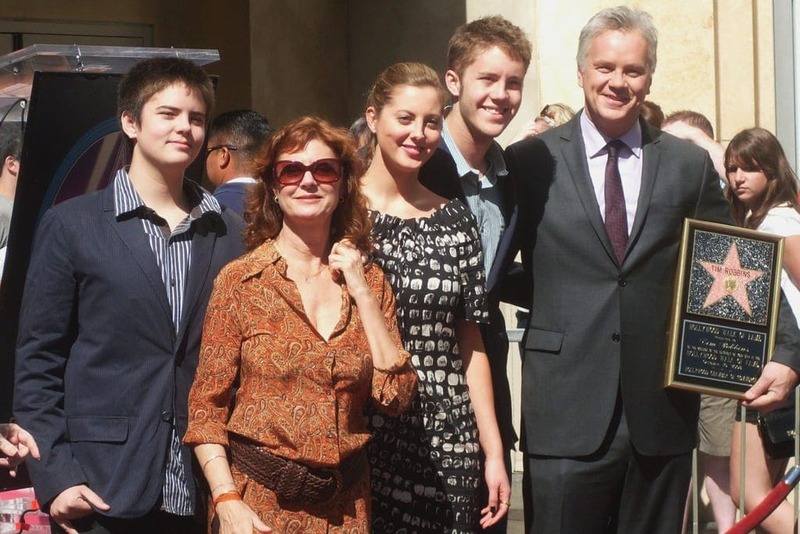 Almost exactly three years later, Sarandon would yet again give birth to a boy, Miles Guthrie. 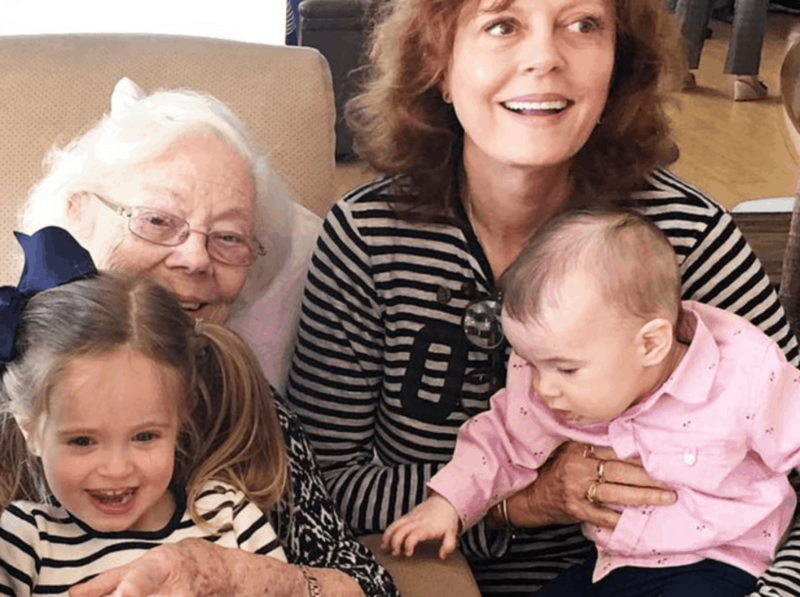 A decade had passed since Sarandon received her Endometriosis diagnosis, but here she was with not only one child, but three beautiful children and a full family. 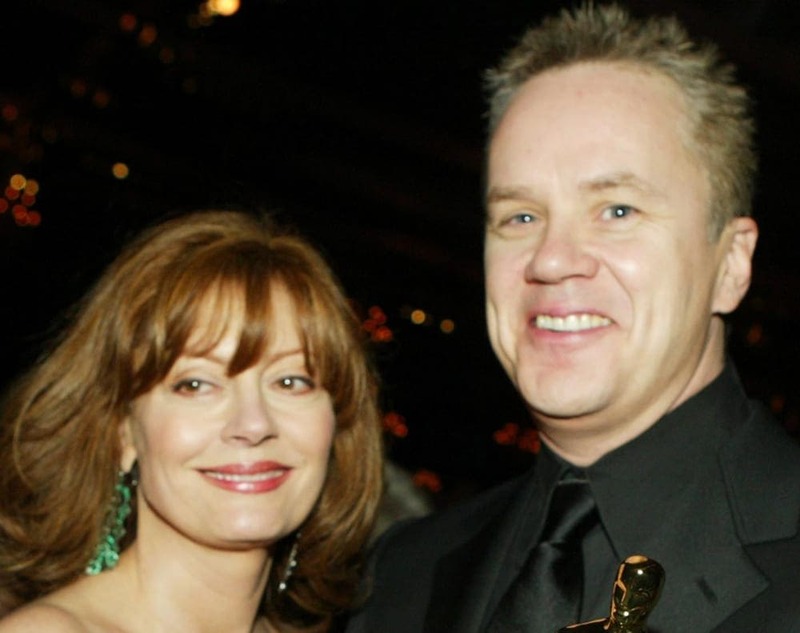 In 2009, Robbins and Sarandon made a shocking revelation: they announced the end of the relationship. After 21 years together and two children, the power couple decided to call it quits. Susan told The Telegraph, “I thought that if you didn’t get married, you wouldn’t take each other for granted as easily. I don’t know if after twentysomething years that was still true.” With their children grown, they seemed to handle the split well and carrying on with their young lives. The 71-year-old recently opened up about her love life. Sarandon revealed that her sexual orientation is not as straight forward as you might have thought. She said that her sexual orientation is “open” and “up for grabs.” Sarandon admitted that she would be open to relationships with either men or women. However, she does not seem to be getting as many offers as she would like. Hopefully, she will find someone right for her. Susan is famously liberal in most of her political opinions. While one might think that would also include being a staunch feminist, you would be surprised to hear the contrary. She said, “I think of myself as a humanist because I think it’s less alienating to people who think of feminism as being a load of strident b**ches.” She tries to fight for the rights of everyone, not only those of her gender. Of all her political causes, Susan Sarandon has always been an anti-war activist. When the 2003 war with Iraq broke out, she made sure to make her objection known appearing in political ads. Sarandon has spoken out against many wars, but interestingly, her mother falls on the other side of the political spectrum. Her mom, Leonora Tomalin, is a staunch Republican was very supportive of George W. Bush and the 2003 war with which her daughter disagreed. 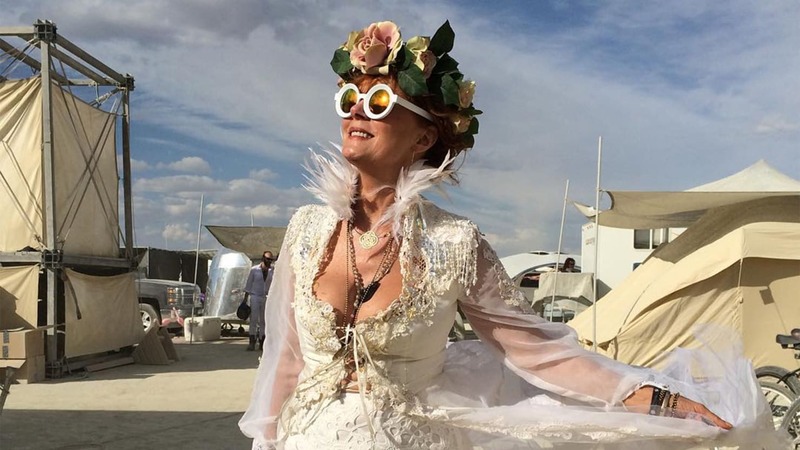 Susan Sarandon might be a world-renowned actress, but there is another in her family tree that has been turning heads recently. Her daughter Eva Amurri has developed quite a nice career for herself as an actress. Her credits include an episode of Friends in which she appeared with her mother. Susan got revenge for years of mothering by slapping her daughter – for the role of course. Eva starred in the film Middle of Nowhere and had a season-long arc in Californication. With her family seemingly growing every few years, Susan is loving life as a grandma. She told Metro, “Being a grandmother is so much easier than being a mother. You don’t have that constant worry that’s in your mind all the time.” Susan will appear in two films slated for late 2017 releases, including a sequel to Bad Moms. For now, she is content spending time and taking Instagram photos with the family she never thought she could have.